At Dr. Tim Donley's practice, you'll find our primary goals are to help you achieve and then maintain a preferred level of oral health. We specialize in the professional treatment of periodontics, dental implants, gum diseases and oral medicine. 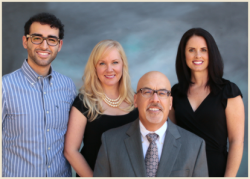 If your dentist, orthodontist, hygienist, or physician has recommended us to you, we look forward to seeing and meeting you soon. If you have any questions, concerns or need further information on what treatments or procedures may be needed for your dental health, please don't hesitate to contact us at any time. We are always here to help. Your oral health is of critical importance to your overall health, and if you are being referred to visit us, then please don't wait, contact our office as soon as possible and we'll discuss everything you'll want or need to know about your possible treatment. For your information, at your first visit to our office we will provide you a thorough examination, make any needed x-rays and then formulate an effective diagnosis. Afterward, we'll discuss the most satisfactory treatment plan and any potential alternative procedures with you. 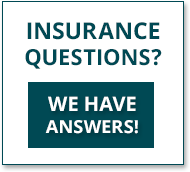 A fee estimate will be determined and any financial arrangements made,along with scheduling your appointments to begin your care. 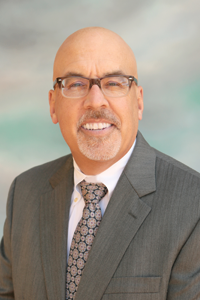 Dr. Donley is a leading expert in the treatment of gum disease and dental implants. Dr. Donley is a sought-after international speaker, teaching dentists and hygienists around the world the state of the art in Dentistry. He co-authored the first-ever textbook (used in dental schools throughout the world) on modern ultrasonic treatment for gum disease. He graduated from the University of Notre Dame, Georgetown University School of Dentistry and then did his specialty residency at Indiana Medical Center in Indianapolis. His diagnostic and treatment protocols have been adopted by numerous other offices interested in providing the highest level of care to their patients. Dr. Donley has been described as down to earth and very smart! He takes a reasonable approach to his practice. He only recommends care when he is sure that the care is worth it, that is, the expected outcome will justify the involved time, effort, and resources. He partners with his patients to insure that they get the very best possible result. Dr. Donley is different in that he listens, really listens, to the concerns of his patients. He then presents the available treatment options to his patients and allows them to determine the best way to proceed. Improving patients’ oral and overall health is his most important goal. Ricardo Cordova is a fourth year student at Western Kentucky University. Ricardo came to Dr. Donley’s office when he was in high school as part of a job-shadowing project. He so impressed the staff that they never let him leave. He serves as Dr. Donley’s surgical assistant while he prepares for a future career in health care. Ricky loves soccer, music, and good food. His overall spirit brightens the office every day! Kimberly is affectionately known around the office as, “the smartest dental hygienist with whom Dr. Donley has ever worked.” Dr. Donley loves telling that to patients because it is true. Kimberly is a gifted hygienist who has put great effort into making sure she and Dr. Donley are perfectly aligned in their treatment philosophies. A preferred level of oral health is one step along the path to a healthy life. And Kimberly is an important part of the process in achieving preferred oral health. Beth came to the office with a world of experience in dental administration. She excels at maximizing any insurance coverage, making care affordable for you, and working with your schedule to make your visits efficient and pleasant. She is excellent at addressing patient concerns. Never hesitate to give Beth a call with any questions or concerns about your care. Beth has two beautiful daughters who often come to the office to visit.